Over the years, Google has continuously made substantial changes to local search and the way its results are displayed. 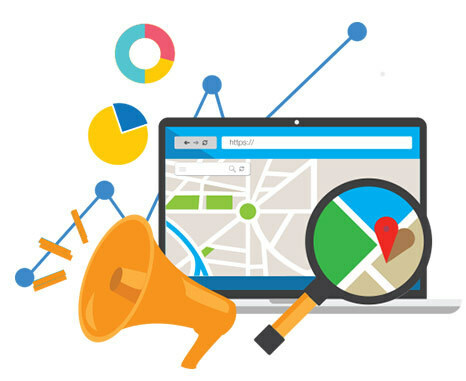 Since local search is so powerful for small businesses, keeping up with the latest trends is a must in order to appear in search and, ultimately, to stay relevant. According to Google, four in every five consumers use search engines to find local information, with 88% of those searches on smartphones. With statistics like that partnered with Google’s constant updates to its local search results, staying as up to date as possible should become an addition to your usual business to-do list. What Shows Up in Local Search These Days? As we’ve seen search revolutionize over time, it is clear that Google search is becoming more focused on featuring Google Products. According to Search Engine Land, a typical search query in Google may bring back a variety of Google-owned properties such as paid listings and ads, the local pack, knowledge panels, news carousels, and more. While all of these provide great information, it does push the organic search results further down the page. 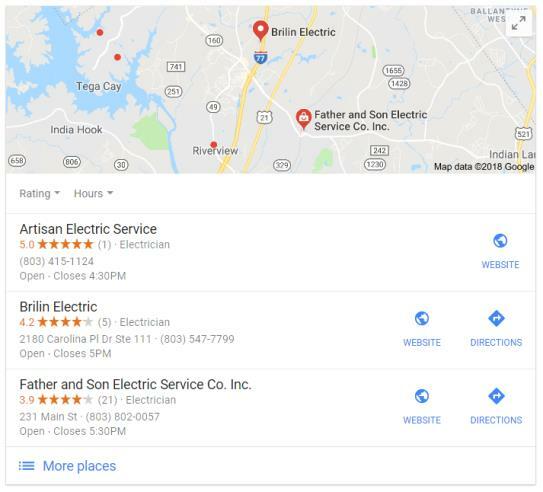 The three most common Google products we’re seeing in local search on the local service ads, paid search ads and the local pack. Depending on the service you are looking for, you may see Google’s new Local Service Ads appear at the top of your search results. These ads display local contractors that offer a service related to your search. You can easily click on a business name that will take you to a company profile with additional information, reviews and a contact method. You’ll notice some of these ads have the Google Guarantee badge which means Google backs the services provided by the company. With these types of ads, you aren’t able to target specific keywords, so you can’t choose what you will and won’t show up for, but since you aren’t paying by the click this may not be an issue for many businesses. Google AdWords launched in October 2000 with only 350 advertisers. Today, that number of advertisers is drastically different. Depending on what local service you are searching for, paid search ads show up at the top or below the Local Service Ads. These ads have a pay per click payment method, but can be customized to only appear by user location, demographics, and keywords. In August 2015, Google made some drastic changes to their local pack that really rocked the local SEO world. Local queries used to show a results page containing up to seven businesses in the local pack, but that was reduced to only three. Prior to this update, ranking in the local pack wasn’t as challenging or competitive as it is now. Now, businesses strive to make it to the top three and maintain that position on a consistent basis. After removing it, Google decided to add the business description feature of Google My Business back which gives you the opportunity to introduce your business and value. This is a great spot to sell your business and convince users to convert. In order to make it easy for search engines and users to find you, your business information needs to be out in the web. Your NAP (Name, Address, and Phone Number) should be represented on different local websites like Yelp, Bing, Google+, Four Square and more. The biggest thing to keep in mind is that consistency is the key. Your NAP should appear the same across all of your directory and citation listings to help validate your business accurately to search engines. If you’re a business with multiple brick and mortar locations or a business that services a variety of areas, consider creating location specific pages. Location-specific pages can help increase your visibility in these markets and help give your users more targeted information. With multiple location pages, it is important that each page is 100% unique and offers valuable/useful content to a user. Stay relevant in your market by becoming the thought leader for your industry by creating local content and resources. Most businesses write about general topics that can attract users from all over the world, but creating local, industry-related content can help attract and convert your local audience. Consider creating local resources for users, talk about local meet-ups and gatherings and educate users of the work you do within their neighborhoods. Ashley is an Account Manager at Kashmer Interactive; creating and executing on successful SEO Strategies for a range of clients.